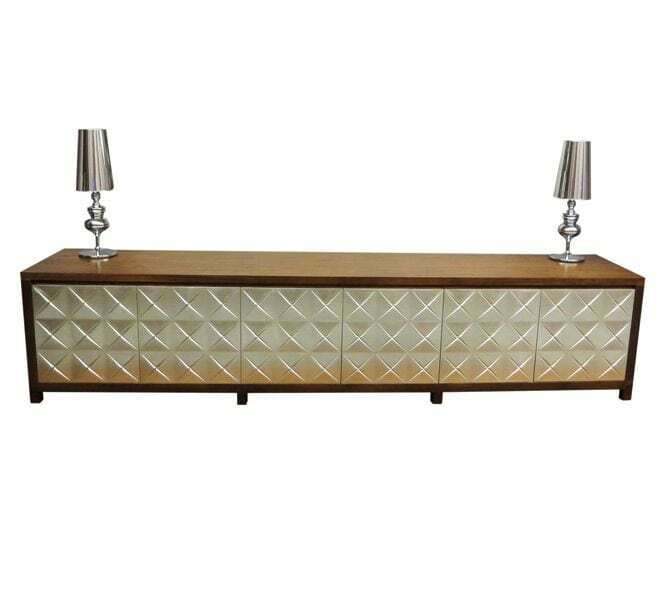 Sideboards with 2 or 4 doors. Frame and top painted matt graphite or white with Canaletto walnut, burnt oak or Heritage oak doors, or frame, top and doors all polished white. Top available also with insert in Marmi Calacatte , Alabastro or Ardesia ceramic. Internal shelves in clear glass.